Team India clinched the series in the third ODI after defeating England Lions by 60 runs in an exciting contest. India A would be eyeing to dominate the remaining games and whitewash the visitors in the ODI series. The host have outplayed England Lions in all the three departments to win this series comprehensively. Krunal Pandya starred in the last victory with the tremendous figures of 4-21 which helped to restrict the Lions for 112 runs. Axar Patel and Navdeep Saini also played their part and took two wickets each in that victory. The host were bundled up for 172 runs in the first innings courtesy of Deepak Chahar’s 39 runs. England blew a crucial opportunity to get back in the series and lost by 60 runs in such a low-scoring affair. India can now afford to make a few changes in the remaining two games. 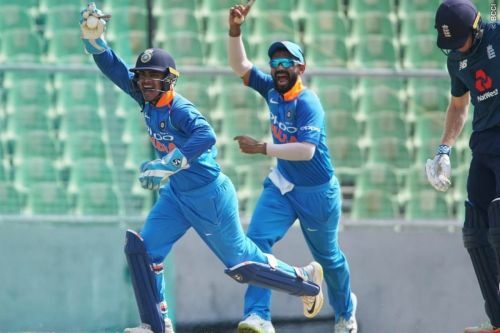 Rishabh Pant, Ricky Bhui, S lad, Himmat Singh, Avesh Khan, Rahul Chahar, Deepak Hooda are set to feature in the squad and replace Ajinkya Rahane, Ishan Kishan, Hanuma Vihari, Shreyas Iyer, S Kaul, Mayank Markande, Krunal Pandya. Rishabh Pant, Ricky Bhui, S Lad, Himmat Singh, Avesh Khan, Rahul Chahar, Deepak Hooda are set to replace them.